Balochistan is Pakistan’s largest, most mineral-rich and least explored province. Its population consists of a number of different tribes with unique traditions and dresses. 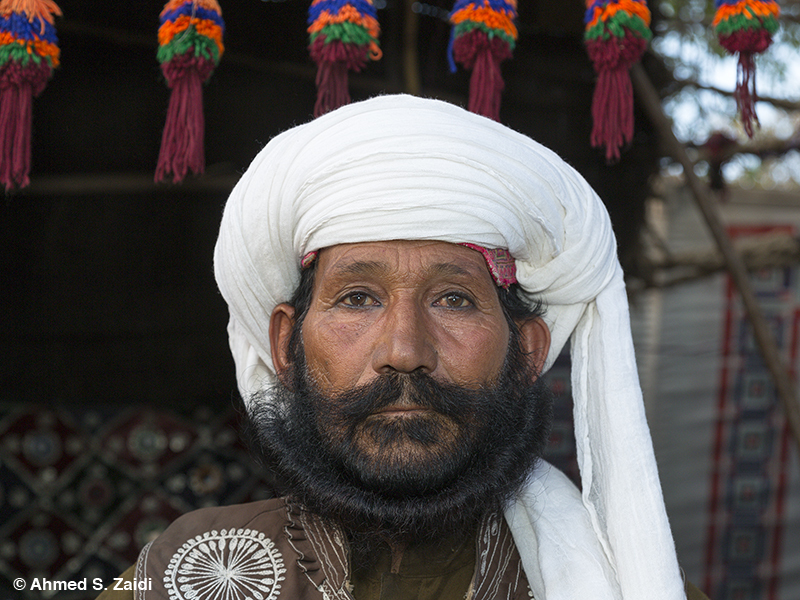 Here is a Baloch, adorned in traditional robes and headgear.